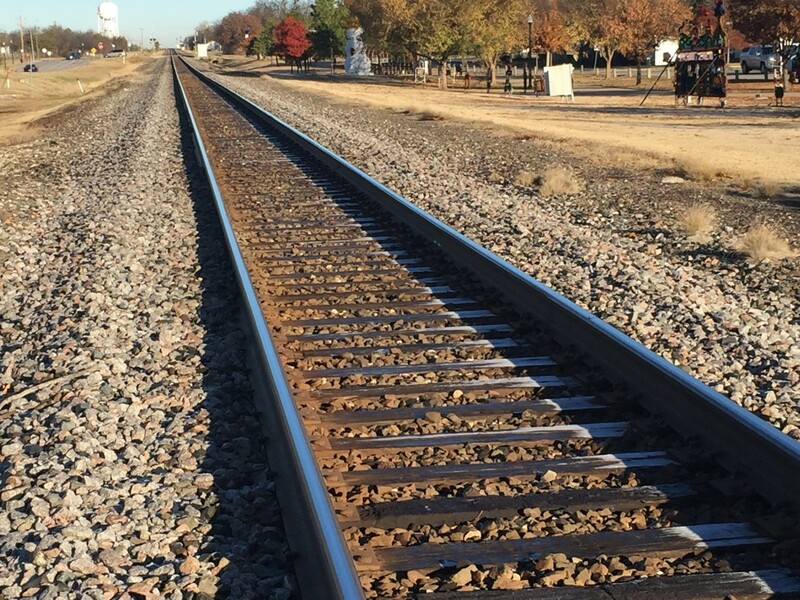 Oklahoma City area mayors are proposing a transit system connecting cities by "heavy rail," or passenger trains running on existing freight lines like this one through Norman. That would require negotiating with Burlington Northern Santa Fe Railway. The Oklahoma City area moved a step closer to getting a green light for its own regional transit system Tuesday. Mayors from Oklahoma City, Edmond, Moore, Norman, Midwest City and Del City agreed to create a task force that would then create a regional transit authority. The goal is to develop a system that relies on heavy rail, or passenger cars running on existing freight lines connected to park-and-ride facilities and city bus systems. The plan appears designed to cater to suburban commuters as well as traditional urban transit riders. The transit authority, to be comprised of members from each of the participating cities, would develop and implement any plans for a connected transit system. With the metro region expected to grow from 1.1 million to 1.6 million people by 2040, mayors said alternative transportation is needed, especially with more people living in the surrounding areas. Oklahoma City Mayor Mick Cornett said cars alone are not an option. What would this regional transit system look like? The transit system would install passenger cars on existing freight lines connecting Edmond, Norman, Moore, Midwest City and Del City to the downtown Santa Fe Station in Oklahoma City. This is known as heavy rail. Stations in the surrounding cities would need to use park-and-ride and existing bus systems to get residents to and from the metro stations. The Santa Fe Station would be connected to the downtown streetcar line being developed and existing bus routes. The Norman and Edmond lines would be the largest in terms of ridership. No immediate plans exist for what funding would look like, but it will likely come from a combination of sales and property taxes. Ridership fares tend to make up a small portion of revenue for transit systems across the nation, which is why the transit authority will be reliant on taxpayers. The project could also receive grants. A matching federal grant is being used for the streetcar system going into downtown Oklahoma City. The full cost of constructing and implementing the transit system is estimated to be around $900 million. Will this need voter approval? The transit authority will need two layers of approval before it becomes a reality. First, the individual city councils will have to vote to create and join the regional transit authority. That includes approving who will be on the board overseeing the authority. Those details will be addressed by the task force. Residents will then have to approve any new taxes. Oklahoma City residents already voted in 2009 to approve funding for the downtown streetcar, which is part of MAPS 3. The task force will also look at ways to implement the heavy rail system even if voters in any of the six cities vote down a tax proposal. The key factor affecting the timeline is how quickly cities approve funding. The mayors do not know how long that will take. It’s expected to take at least eight months to get in front of each city council the plan creating the transit authority. It could be another five years to construct the stations and reach an agreement with BNSF to share its freight lines. That is not necessarily an easy process, given that existing railroad lines are often running heavy with revenue-generating freight trains.